Our execution capabilities have grown significantly with time, both in terms of the size of projects that we bid for and execute, and the number of projects that we execute simultaneously. Since our incorporation in August 2008, we have executed over 71 projects as of November 30, 2016. Our Chairman and Managing Director and CEO, namely Prahaladbhai Shivrambhai Patel, who is also our Promoter, has been associated with the construction business for over 30 years and has been instrumental in the growth of our Company. Construction of New Factory building at Plant Building at Hirapur for KHS Machinery Pvt. Ltd.
Construction of buildings and Electrical Work for Whey Powder Drying and Paneer Plant at Khatraj, Amul Dairy, Anand. Construction work for Zydus Hospital at Thaltej for Zydus Hospitals & Healthcare Research Pvt. Ltd.
Construction work for two additional blocks between Vidhansabha and Sachivalaya at Gandhinagar. Interior works of Swarnim Sankul 01 & 02 at Sachivalaya Campus, Gandhinagar. We have in the past successfully completed, and are also currently undertaking, various projects in relation to the development of the Sabarmati River Front at Ahmedabad, which have been awarded to us by the Sabarmati River Front Development Corporation Limited. All types of civil construction work from excavation to finishing with external development for any Residential complex, bunglows, commercial complex, Infrastructural, Pharmaceuticals Or Industrial buildings. This includes any type of HVAC (Air conditioning), BMS, Electrical, Low voltage, security system, plumbing, firefighting, Fire alarm system etc. work. Any type of building renovation, retrofitting, repair of existing building including civil, interior furnishing and all MEP works are taken care with high quality of workman ship. The work includes flooring, false ceiling , painting, All types of furrnitures like custom made or bought out, curtains, internal signage and any other interior furnishing works. There is only one way in which an architect can get a well-constructed building, and this is, if the building contractor wants to give it to him. PSP first and foremost, want to give you robust, well made buildings that he and you can take pride in. Mr. Patel has always been a joy to work with – technically very competent, highly professional, transparent and easy to deal with.Staff members enjoy a high degree of independence, own their work and take pride in doing it well.We have worked with the topmost construction companies in India and we can say, without a doubt, that we value PSP Projects as one of the very best in the country at the moment. 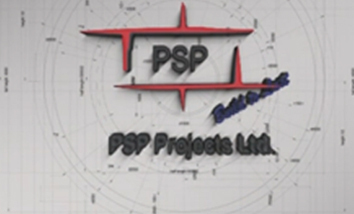 Company’s Management, Team, Recourses, Ability & willingness to achieve and key strength which made PSP Projects Ltd. one of the most successful and efficient organization in a short span. We are proud to have PSP Projects Ltd. as our construction company which has handled our various Industrial, Commercial & Residential Projects. 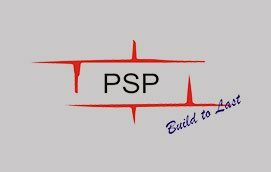 Team of PSP projects ltd is highly energetic andtake up work with positive mind frames irrespective of festive season, monsoon and anyother odd situation arising during constriction. 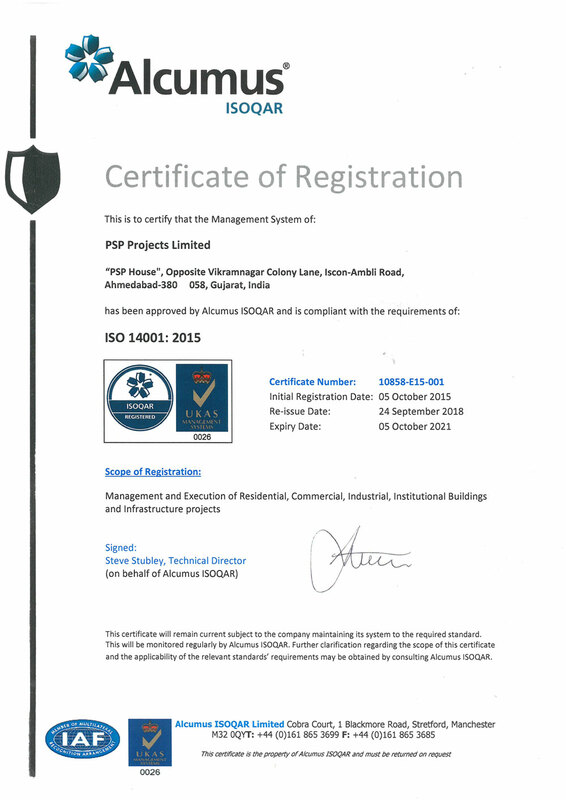 Team PSP Project ltd is always open to discusson any aspects of construction activities. Regular site visit of seniors, participationin weekly/monthly meetings has reduced scope of conflict during progress of project.I findteam is working with high degree of integrity and with passion driven approach. PSP Projects has been able to cater both high quality work & on-time delivery during execution of large infrastructure projects in different industries like manufacturing, retail, residential, public institution, hospitality sector and healthcare. Director, HCP Design, Planning &amp; Management Pvt. Ltd.